Map It! 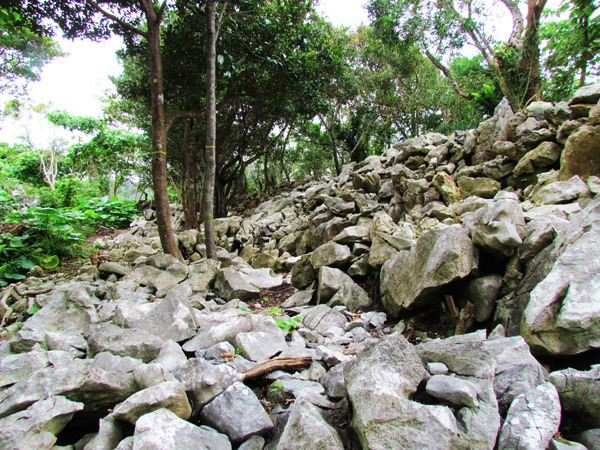 Okinawa: "The Shiinagusuku Ruins"
This is the Shiinagusuku Ruins. The history and research about this place is mired in mystery. It is not even quite clear which town or precinct it belongs to. 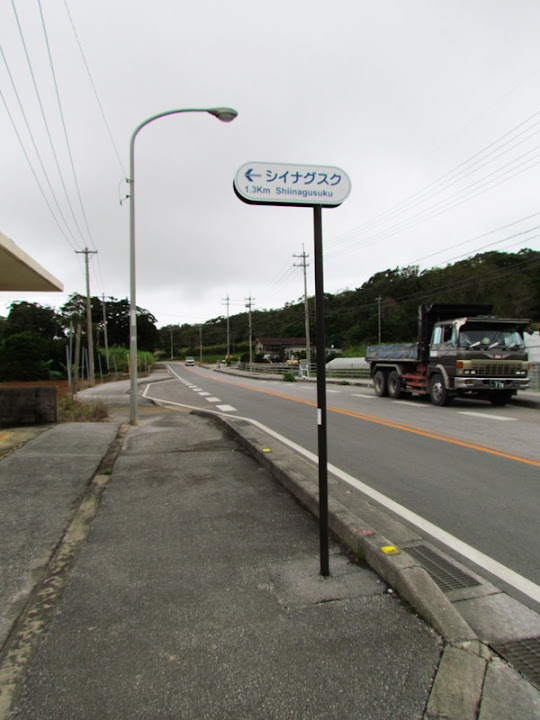 It borders Nakajin Village, Nago City, and the town of Motobu. Nothing was mentioned in any of their official websites about this site. The only information that we obtained was its name, due to a small road sign in roman characters leading us to the ruins. 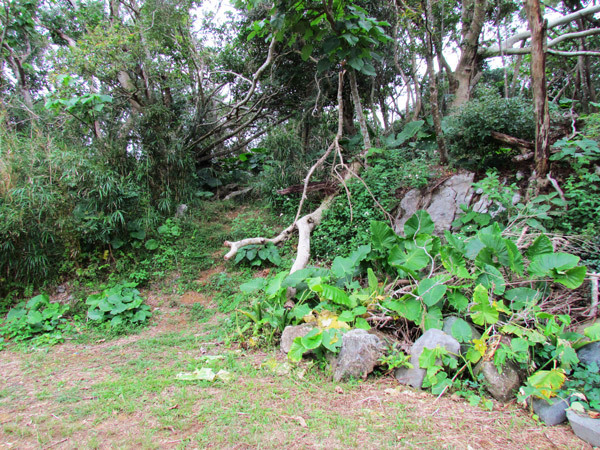 The suffix 'gusuku' is Okinawan dialect for castle or fortress, and by its appearance and location it does give indication that it was once used as such. Once you are there, you do get the ambiance that it is an 'old' ruin site – preserved and untainted by modern construction. 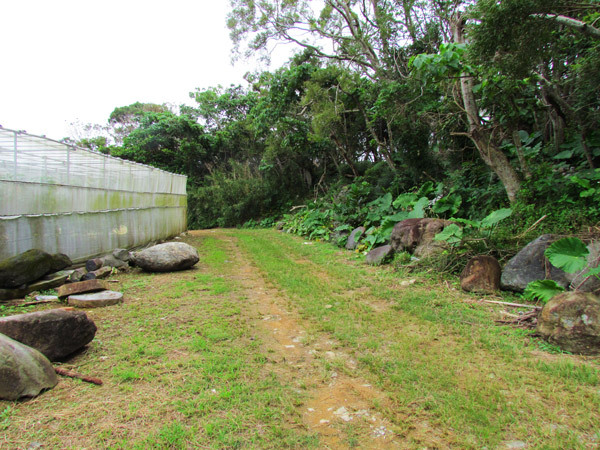 Mostly what you will see are large stones that seemed to be naturally part of the landscape, and then some makeshift stone walls further back (though it is not certain when those walls were erected). 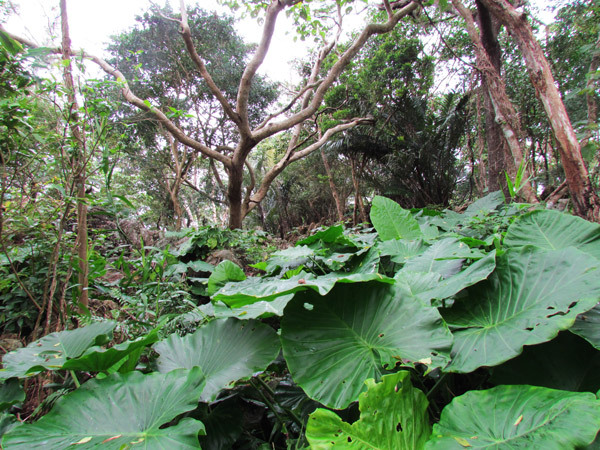 Now, it is mostly covered by Elephant Ear plants and trees interspersed throughout the area. One intriguing question does come to mind – what was its relationship which Nakajin Castle not too far away? 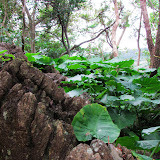 Did it just serve as an outpost or lookout of the northern east side of the Motobu Peninsula? It's not quite clear. There were signs that possible renovations may be done in the future. Engineer tape and reflective markers were placed at strategic points on location. 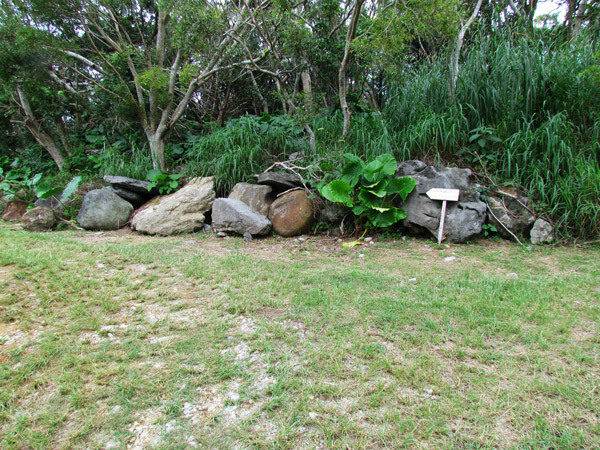 However, at this time, the origins and the history of the Shiinagusuku Ruins shall remain a mystery. Caution. I highly recommend you bring a good size guide stick, larger than a normal size umbrella. 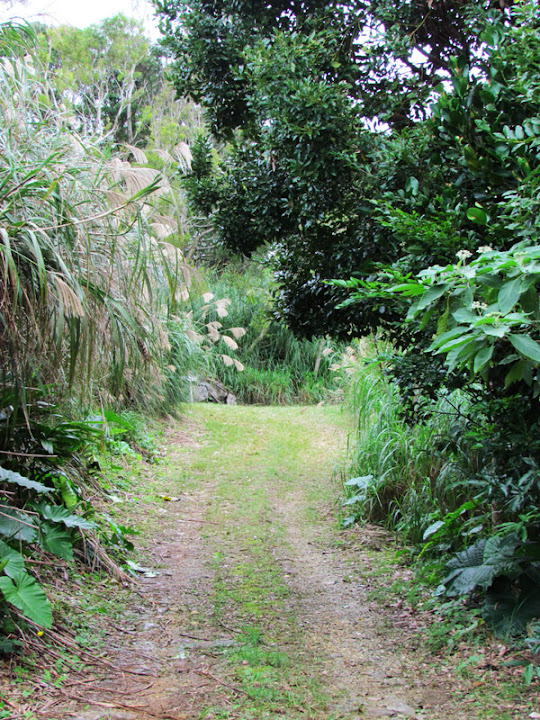 Though there are some well laid out paths, there are some areas you may be tempted to go. However, I highly recommend you just stay on the beaten paths. You can safely pretty much see all you need to see from there. Because of all the gaps between stones and sometimes dense ground vegetation along the unbeaten areas, you will need to probe these areas if you do decide to go. There are just too many places for snakes to hide. There are also plenty of spider webs in the area, so keep your eyes on top as well. What to bring. Bring plenty of mosquito repellant. Recommend pants, good shoes, hat and long sleeve shirt (pending on weather), water, and your camera. Getting There. Getting there is not difficult. If you look at the map you will see the turn off is off Highway 505. However, there is only one small road sign that points in that direction. Study the map carefully so as not to pass it. 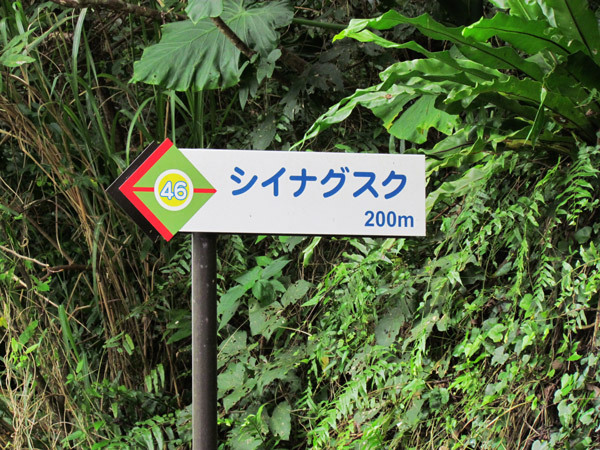 Once you turn you will see other signs (in Japanese only) pointing you the way. At some point you will reach an end point. You will see a construction area to the left and a tented farm center-right. 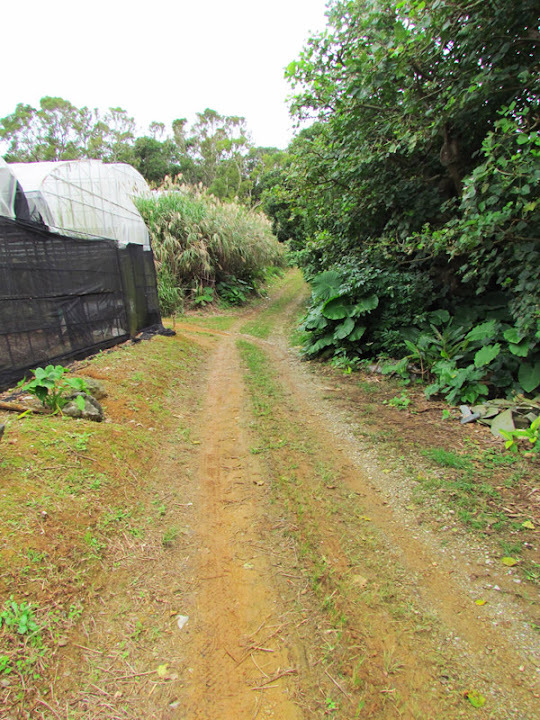 The path is along this tented farm. 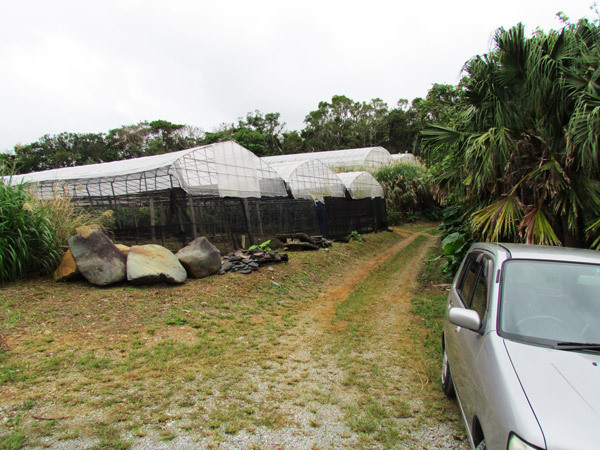 The following pictures are the sequence you will see from parking to entering the ruin site: Picture 1, Picture 2, Picture 3, Picture 4, Picture 5, Picture 6.